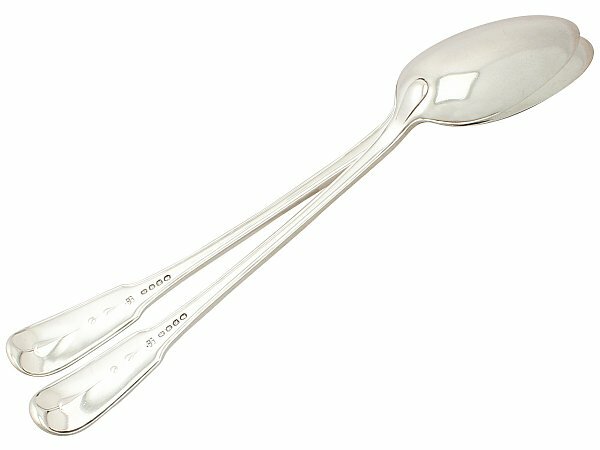 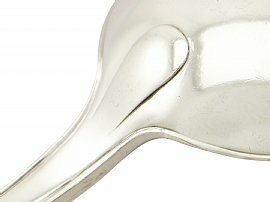 This exceptional and rare pair of antique George III English sterling silver gravy spoons have been crafted in the Fiddle Thread and Drop pattern. 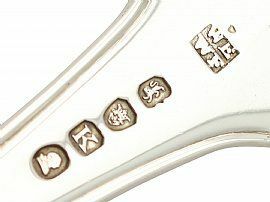 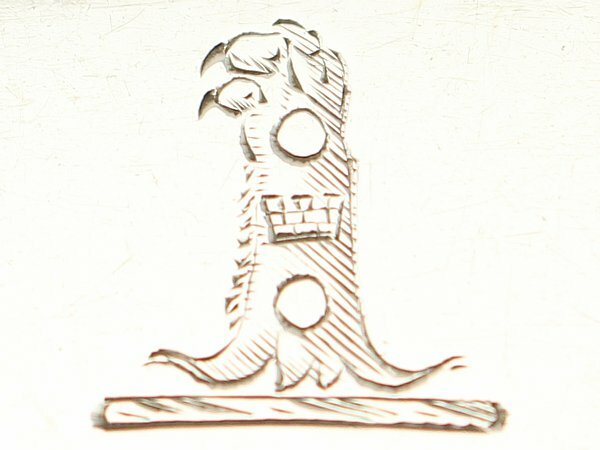 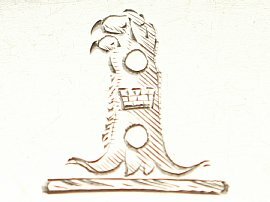 The anterior surface of each spoon stem and handle is encompassed with thread decoration and embellished to the terminal with a contemporary bright cut engraved crest of a lion's jambe erased, charged with a tower between two roundels. 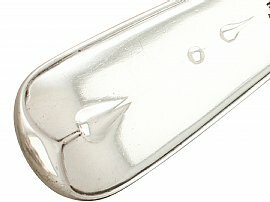 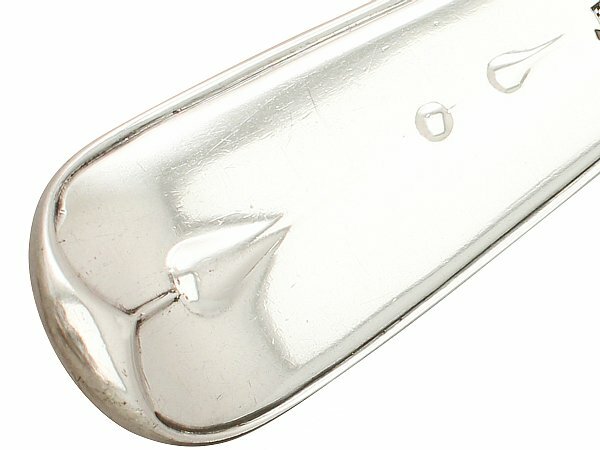 The reverse of these Georgian spoons feature further thread decoration in addition to pendant drop ornamentations to the heels and above the pips to the handle terminals. 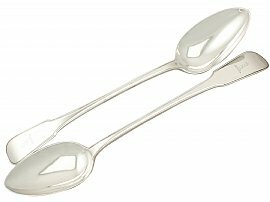 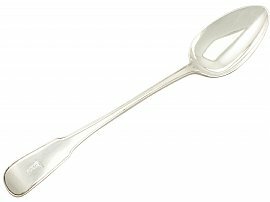 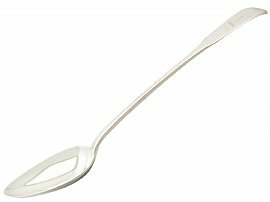 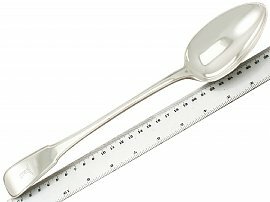 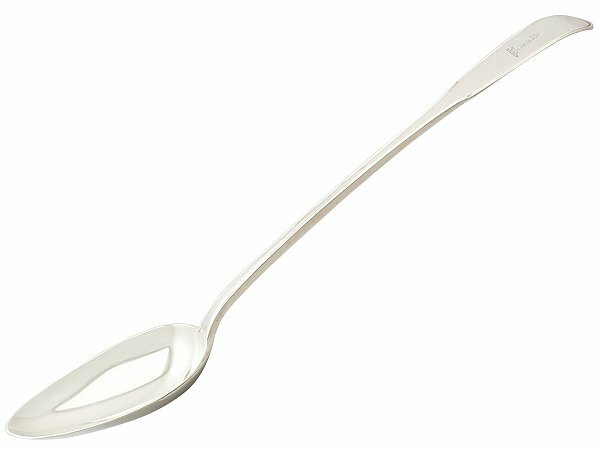 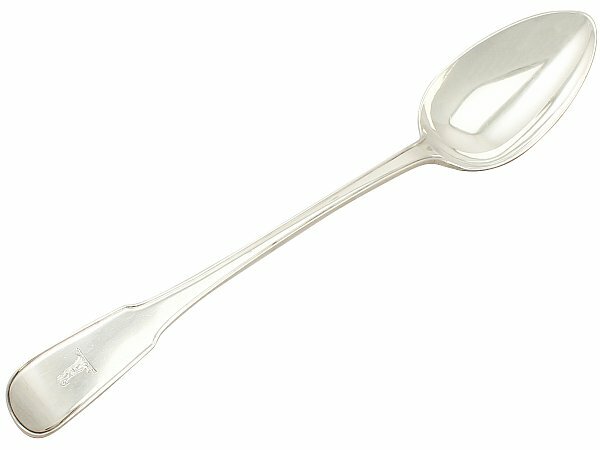 This exceptional pair of spoons has been crafted in a rare pattern to locate; completing a full service would be almost impossible. These antique Georgian spoons are an exceptional gauge of silver, exceptional quality and in exceptional condition, in keeping with age.